4 totally different golf courts are situated at 35 minutes by car. The golf court Lana (9 holes, Par 70) is embedded in an idyllic landscape of fruit orchards. 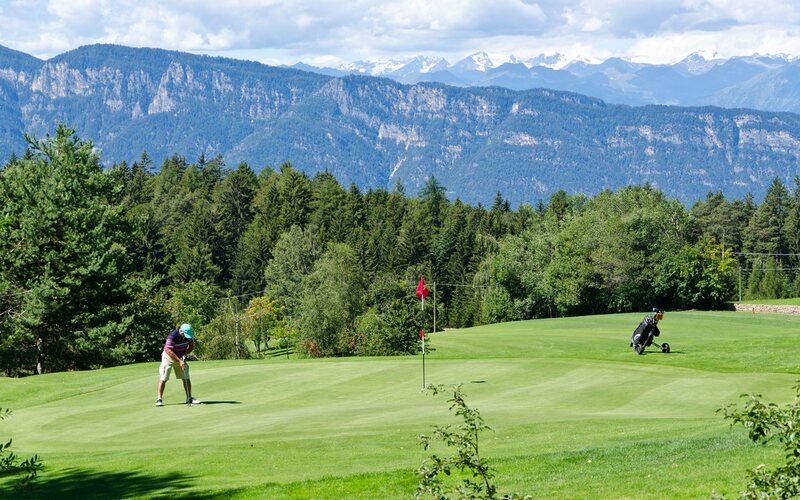 The Golf Club Petersberg (18 holes, Par 71) is situated at 1,300 m of altitude in a dreamlike alpine scenery. 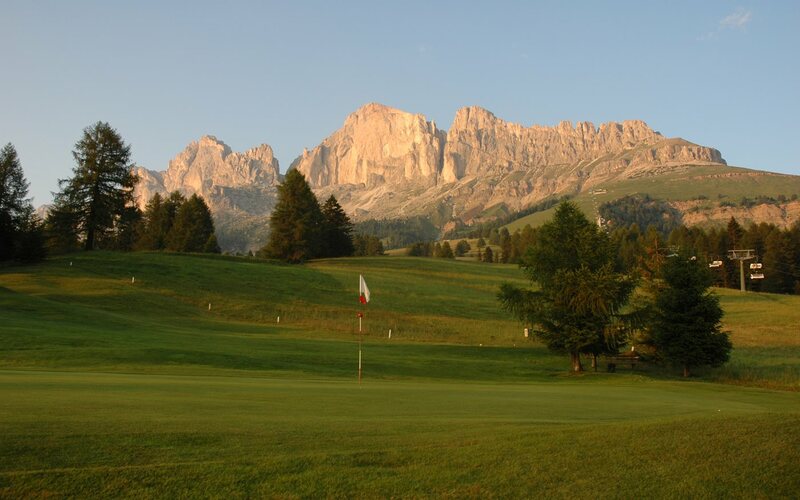 The Dolomiti Golf Club (18 holes, Par 73) in Sarnonico lies in picturesque	position at 950 m above sea level. 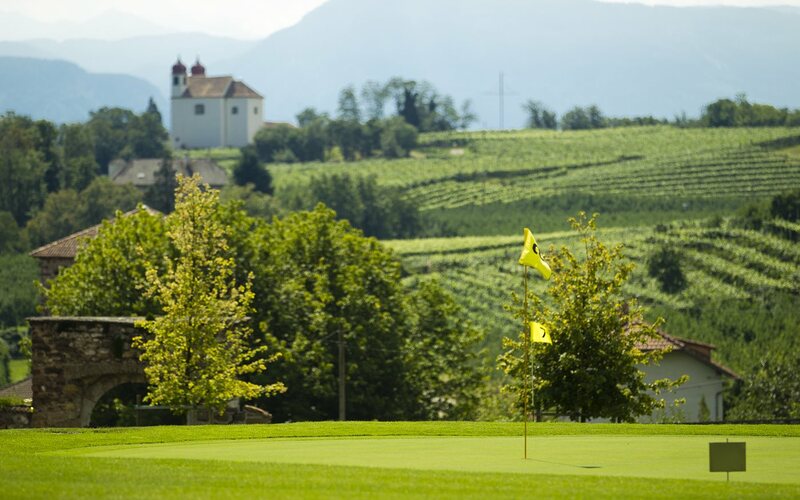 The Golf Club Eppan (9 hole, Par 70) in Unterrain has a large number of water areas. They all seduce and enchant with their unique character and beauty of the landscape. 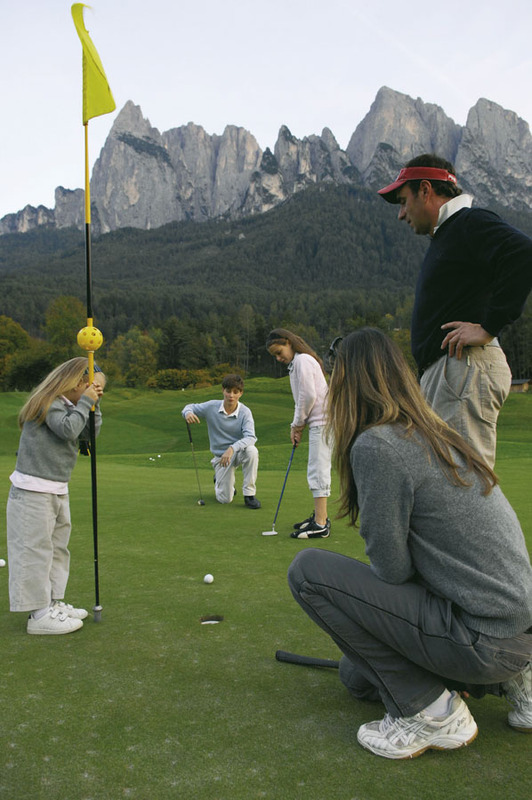 Enjoy unforgettable golf vacations in South Tyrol. 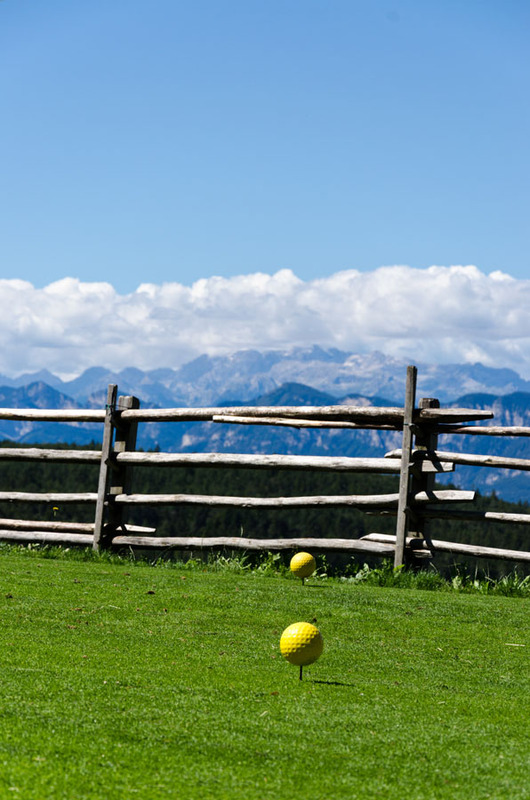 With our golfcard you get 20% discount on all golf courses in South Tyrol.